French actress Léa Seydoux looking stunning in Emerland green during the Cannes Film Festival. The Cannes Film Festival is in full swing once again with plenty of glitz and glam as usual. 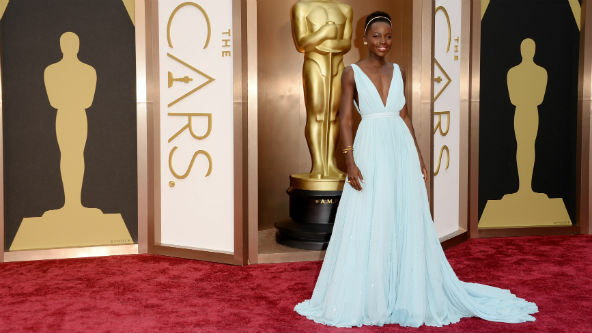 Here are our Red Carpet favourites so far. The Miu Miu clad ladies are our favourites from the Met Gala Red Carpet in New York earlier on this week. Elizabeth Olsen, Gabrielle Union, Stacy Martin and Dianna Argon all looked colourful, chic and like they were having a great time. Teen Woolf Actress Holland Roden in Erin Fetherstone at the ELLE Women in Music event in Hollywood on Wednesday. Model Crystal Renn in purple velvet dress at the 2014 Save Venice Masquerade Ball in New York City. We love a girl who knows what suits her and Diane Kruger is one of them. Often in Jason Wu and Erdem sporting glamarous vintage hairstyles – she’s basically becoming one of our favourite modern style icons. We can’t get enough of looking at pretty dresses on pretty ladies on the red carpet! Here are our favourites from the Elton John Vanity Fair Party held after to the Academy Awards.